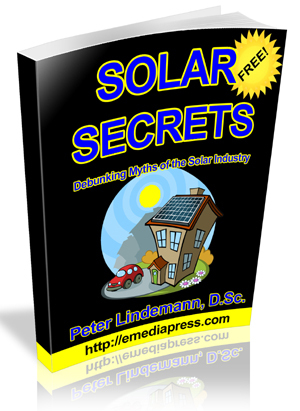 Is Free Energy Really Possible? Many conventionally trained academics deny the possibility that a machine can produce more work than we’re required to supply on the input. As long as a system is open to the environment where more potential energy can enter the machine, then more work can be done than we had to pay for. The downfall to conventional academia is that the concepts of energy and potential energy are taught completely backwards and there is no accounting for what the actual source potential for electrical charge even is or where it comes from. Once the distinctions are straightened out, then we can see that not only is it possible to create a free energy machine, if we build them according to the natural principles of open systems, it is practically a requirement for them to output more than we have to input. Closed system thermodynamics as taught in school only apply to closed heat systems, yet the entire field of physics, etc. try to apply it to electromagnetics, mechanical systems, you name it. The fact of the matter is that conventional closed system thermodynamics actually do not even apply to any natural system in the Universe – because every natural system is open to other sources of potential energy! 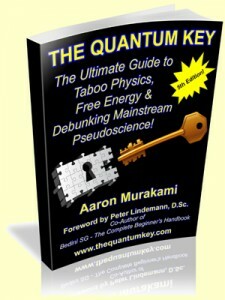 We recommend reading a copy of The Quantum Key by Aaron Murakami as a basic primer that explains the reality of free energy systems in terms so simple, only a junior high school level understanding is needed. The Quantum Key is actually a simplified Unified Field Theory for the layman that links gravity, inertial, electricity, mass, light speed, etc… all together in a seamless manner and even gives a simple explanation of what Time may actually be. Make sure to at least read the descriptions of the chapter on the website below! This book is available at a hugely discounted price, which will change soon, so make The Quantum Key a part of your library – its a perfect companion to the Bedini SG Trilogy!